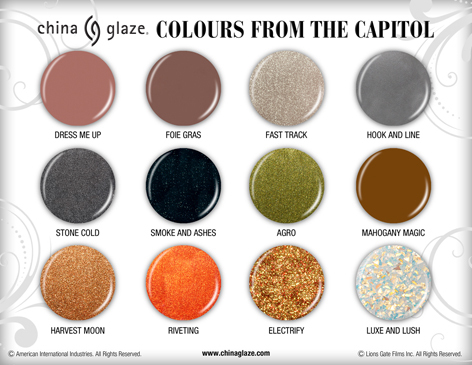 Capitol colors سے طرف کی China glaze. A new collection of Nail polish based on The Hunger Games. Wallpaper and background images in the The Hunger Games club tagged: the hunger games movie.